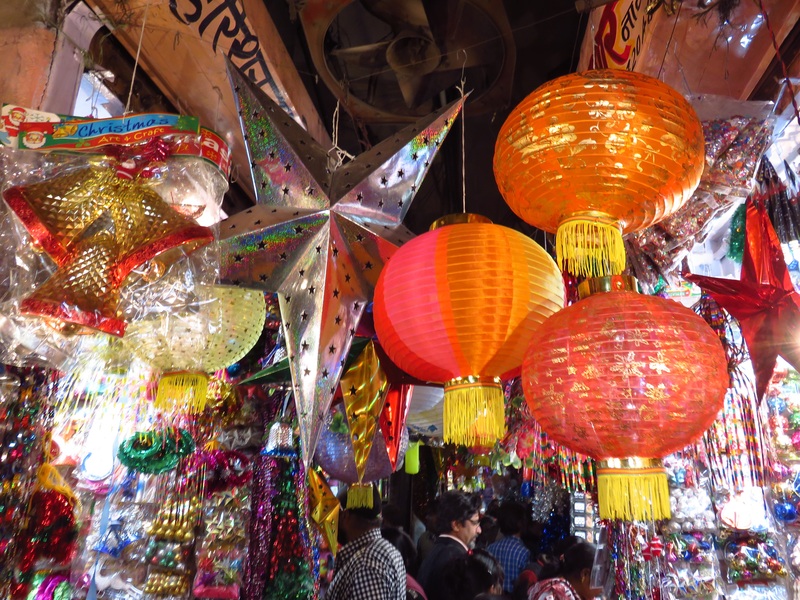 After our lunch break, we decided to cut through the Bazaar on our way to the Albert Hall Museum. 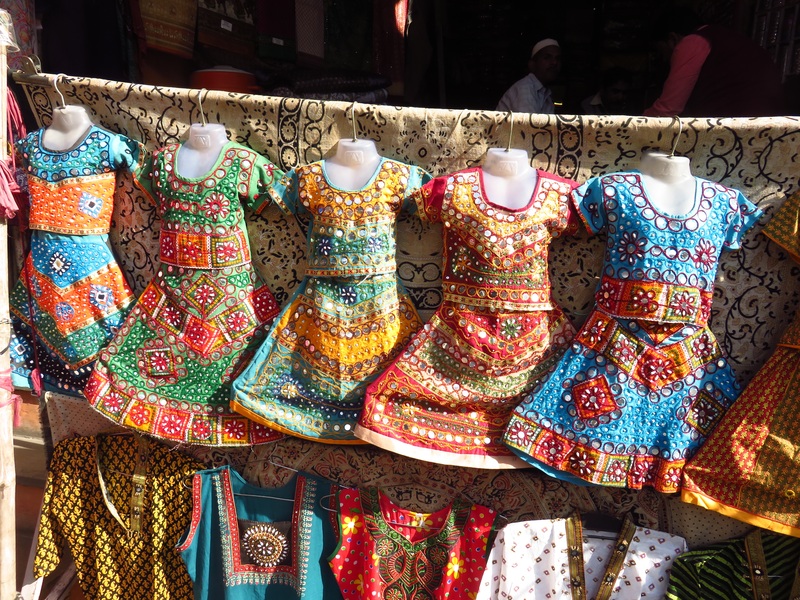 I have never seen as much color as I have in Jaipur. 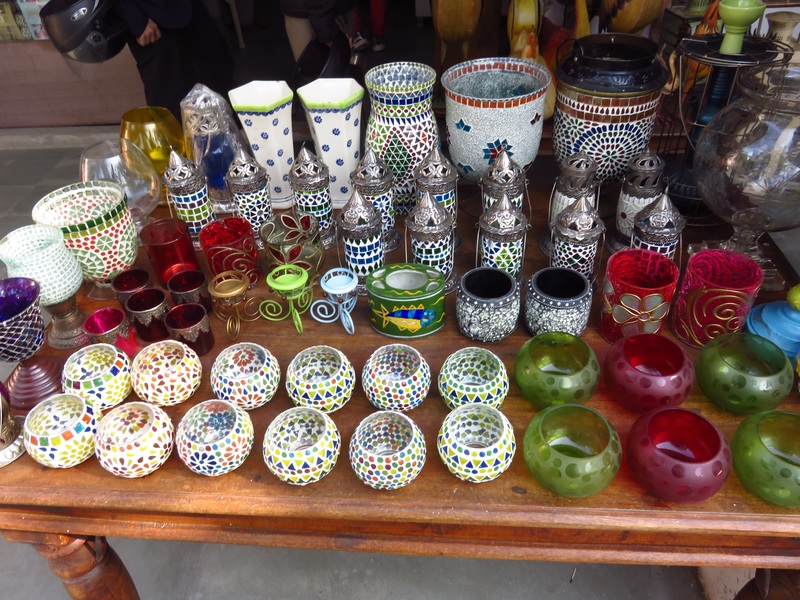 Nick says that the handicrafts of Rajasthan are so vibrant to contrast the muted colors of the desert. In truth, the aristocrats of Jaipur were avid patrons of the arts. 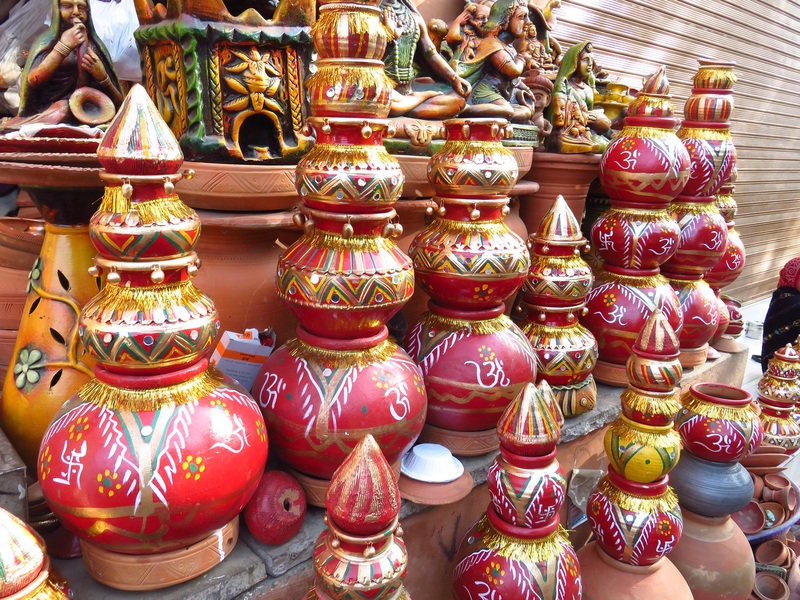 They often coaxed skilled artisans from around India and abroad to settle in Jaipur and make it their home. I’ve included a few pictures below to illustrate the broadness of their crafts. 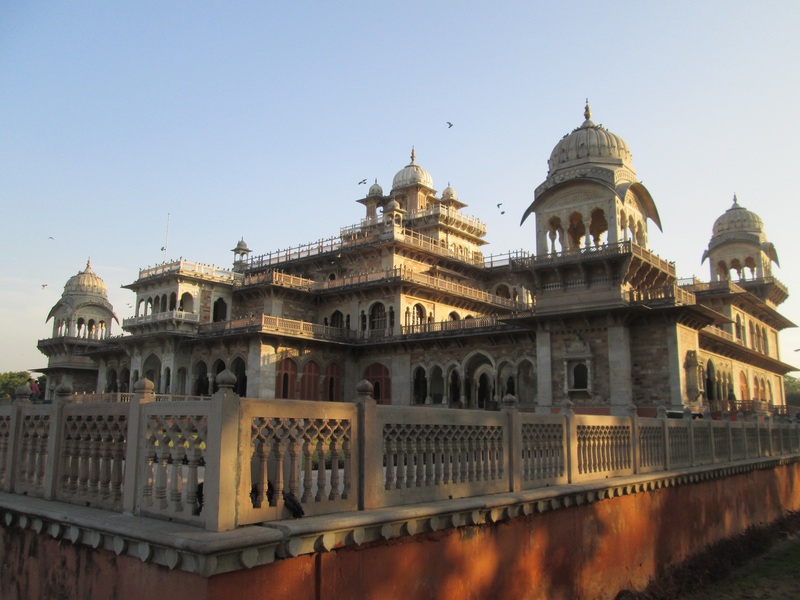 The Albert Hall Museum was designed by Sir Samuel Swinton Jacob in 1887, and exemplifies Indo-Saracenic Architecture. This form of architecture originated in the late 19th century as a movement by British Architects to merge elements from native Indo-Islamic and Indian Architecture with the Gothic and Neo-Classic styles of Victorian Britain. Some of the typical characteristics you may see include: Onion Domes, Scalloped Arches, Minarets, and Domed Kiosks. We decided not to meander too long on the exhibits, because Nick isn’t a fan of museums, and I’m still a little museum-dead from my epic Eurotrip. Our last stop of the day was the Birla Temple. 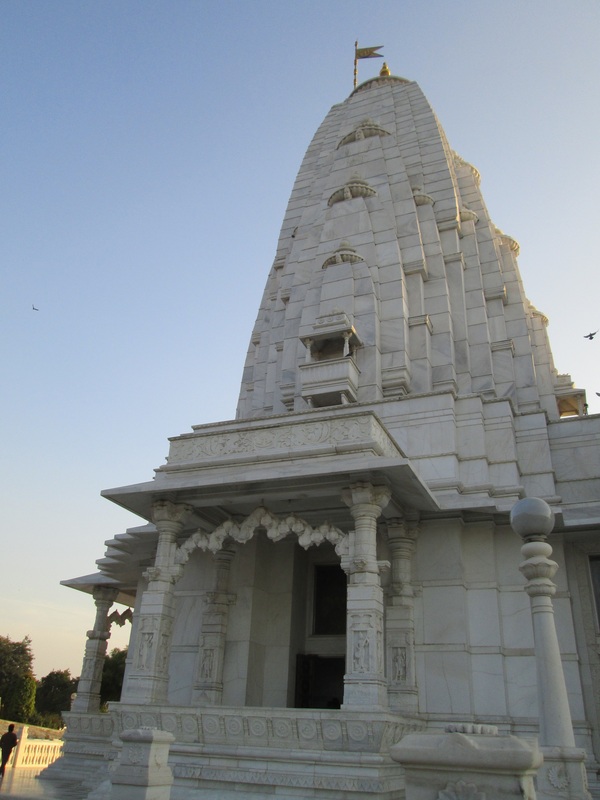 The temple is dedicated to Lord Vishnu, the preserver, and his consort Lakshmi, the Goddess of Wealth. Despite being a “modern” structure, – completed in 1988 – symbolism is still rampantly prevalent in the architecture of the building. Each of the three huge domes of white marble represent the three different approaches to the religion, and intricately stained glass windows illustrate scenes from Hindu Scriptures. 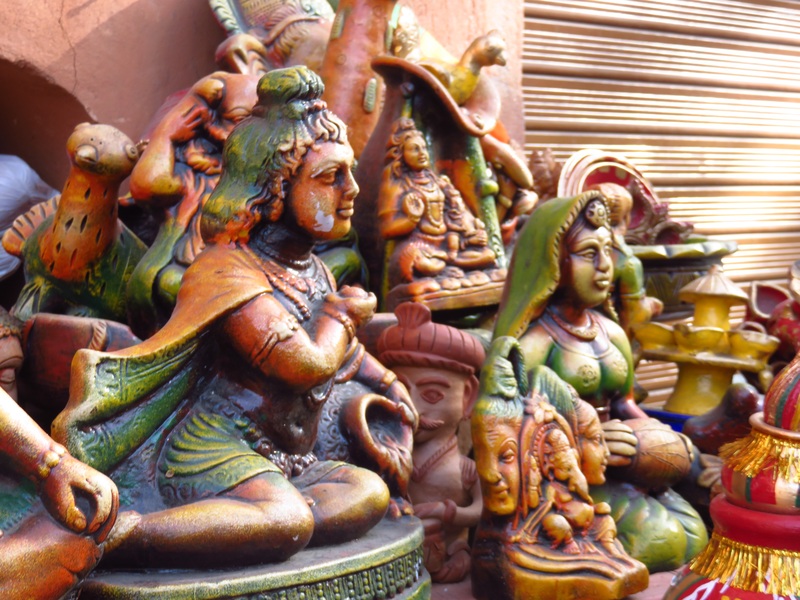 Something that is singularly iconic to Hinduism is the acceptance of all other religions. This is demonstrated by the carvings along the exterior walls that depict import figures from both history and other faiths. Taking one last glance at the temple as the sunset illuminated it in the background, Nick and I returned to the bazaar in search of a Saree for me. 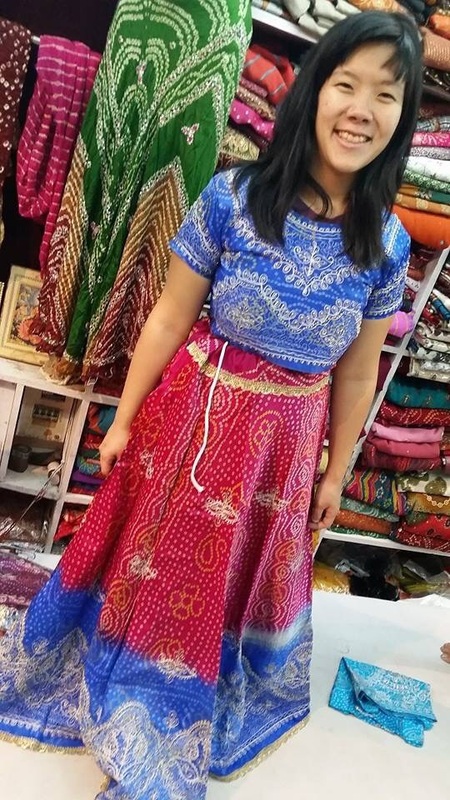 While I don’t typically buy ethnic clothes while I travel, I felt it necessary for this trip as I will be attending a traditional Indian Wedding when we reach Mumbai. Unfortunately, as is often the case when I am shopping in Asia, we hit some roadblocks in the form of sizing. I found a color scheme and pattern that I loved, but, as Nick would put it, my broad,, manly shoulders made the top a bit too snug. T.T.